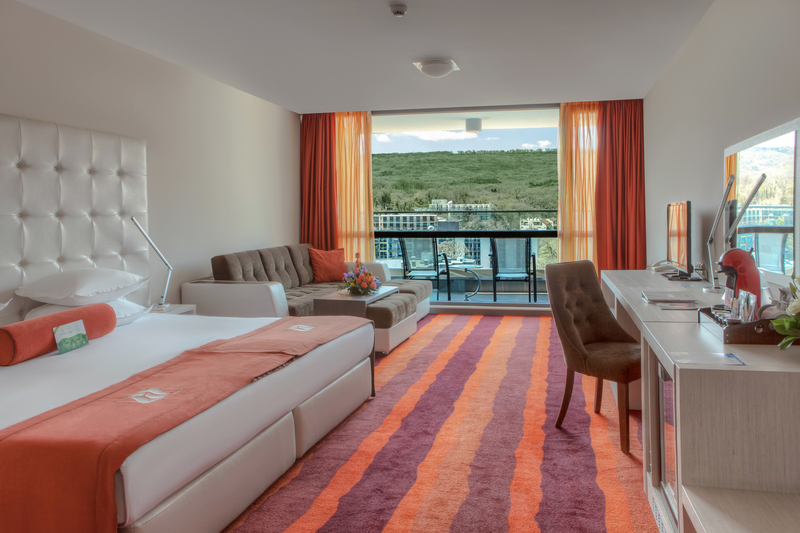 Enjoy a luxury holiday for two at INTERNATIONAL Hotel & Casino. We offer a comfortable accommodation, awesome English or French breakfast and a tasty dinner at Executive Lounge. 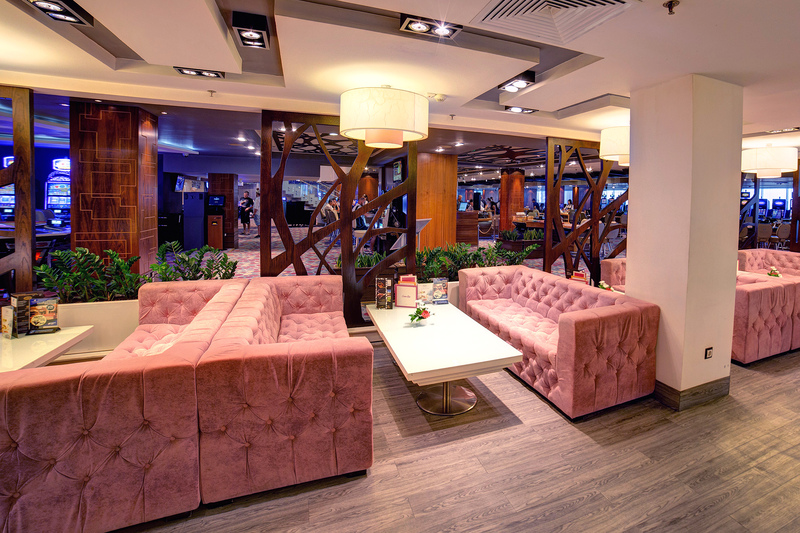 Indulge at Executive Lounge - pleasant atmosphere where you can have tasty food, amazing coffee and tea with homemade cookies and breathtaking view of Black Sea and Golden Sands resort. All rates above are in BGN, per person, per night, inclusive of VAT, resort tax and hotel insurance. 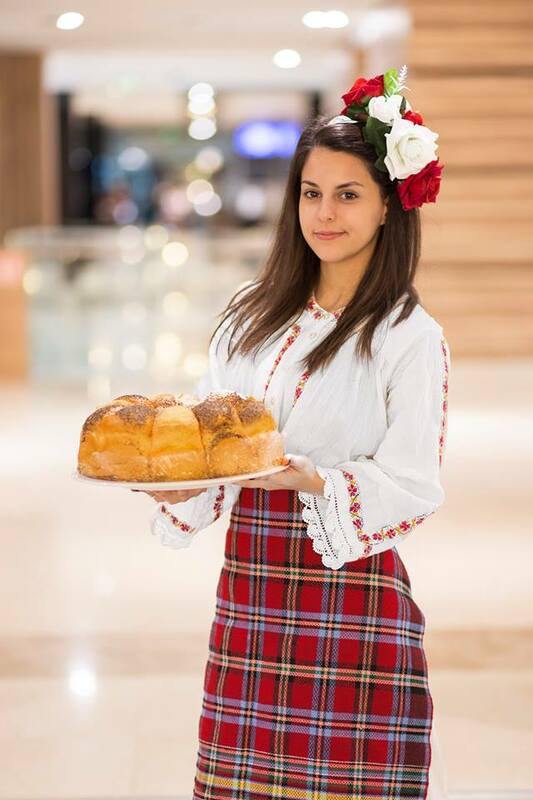 You will have the chance to enjoy rich English or French breakfast while you enjoy the amazing view of Black Sea. Executive Lounge has a breathtaking view from 17-th floor. Start your day on the TOP. Relax by the pool or swim in 30°C warm waters. Why don't you trey the sauna? Heat bathing is one of the oldest beauty and/or health strategies in terms of cleansing one's skin. When the body begins to produce sweat via deep sweating, the skin is then cleansed and dead skin cells are replaced - keeping your skin in good working condition. They say that the way to the heart is through the stomach. Then you will fall in love with our cooks, because they created a beautiful and tasty set- menu. 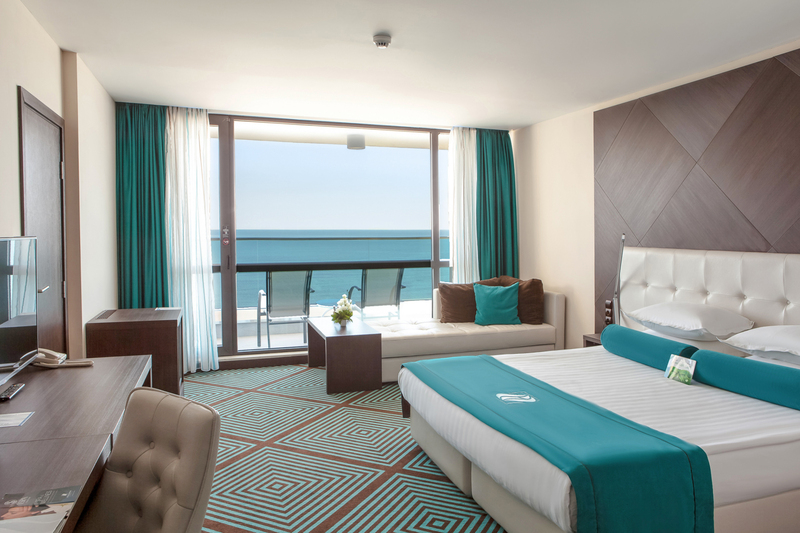 Spacious and bright, these rooms offer unrestricted picturesque panoramas of the Black Sea. Stunningly presented with an open-plan design, complemented by a range of soft furnishings and a large, modern bathroom. Join one of the themed workshops during your stay. They are all free! Visit the casino and experience endless thrill and action. 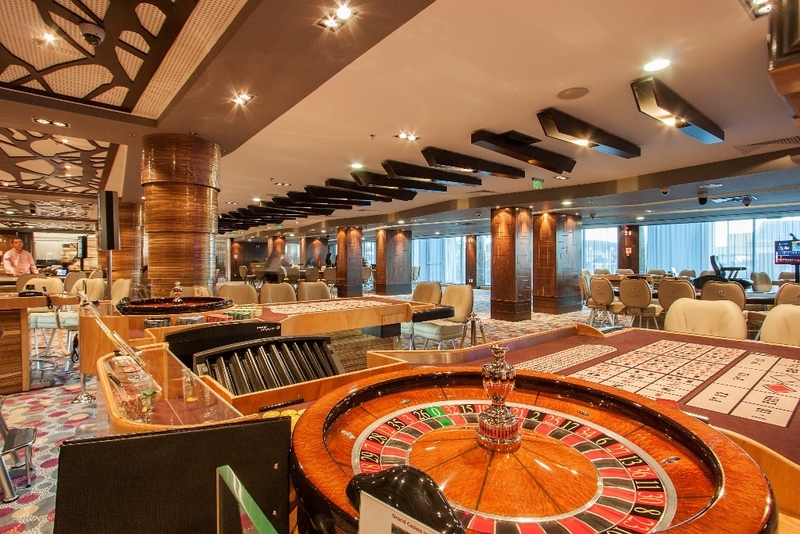 This spectacular space features the largest selection of games and slot machine games in Bulgaria.